After her military service, Alvina White Bull struggled to maintain civilian employment, which led to problems with drugs and alcohol. As she tried to deal with those problems on her own, they escalated — eventually resulting in an arrest and jail time. Alvina served her time and re-entered civilian life, but she still found herself in a bad spot, without a permanent home or job. “My worst fear was to end up back in jail because of not establishing myself,” she said. Alvina determined that she needed help to make sure that didn’t happen, so she met with a vocational rehabilitation specialist at VA. 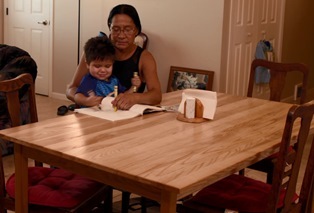 The specialist recognized that because Alvina is a Veteran and member of the Oglala Sioux Tribe, she is eligible for support that VA offers just to Native American Veterans through a program called Tribal HUD-VASH. So Alvina was referred to the Pine Ridge VA Community Based Outpatient Clinic on the Pine Ridge Reservation in South Dakota, and from there she was enrolled in transitional housing and Compensated Work Therapy. Today, Alvina has her own place and works full-time as housekeeper and motor vehicle operator at the Indian Health Service in Pine Ridge. Tribal HUD-VASH is a joint program of the U.S. Department of Housing and Urban Development (HUD) and VA. Established in January 2015, the program offers permanent housing and supportive services to Native American Veterans who are homeless or at risk of becoming homeless. These supportive services — including rental assistance, case management, and physical and mental health care — set the Veterans up for continued success in their new homes. Bill Fahrenbruck, the Homeless Program Manager at VA Black Hills Health Care System in South Dakota, oversees three Tribal HUD-VASH program and is committed to helping Veterans achieve housing stability. Fahrenbruck said the program is designed to do just that — to bring Veterans all the way through the process so they end up firmly back on their feet with a roof over their head and sights set toward a more positive future. 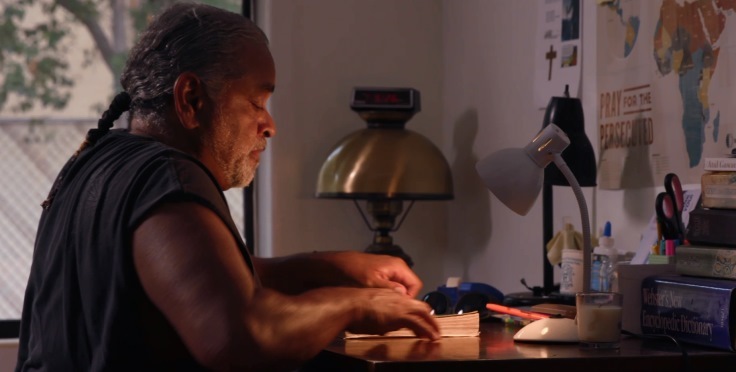 Check out the below video to learn more about the Tribal HUD-VASH program from Bull, Fahrenbruck, and Michael Corbitt, an Air Force Veteran who used the program to turn his life around after drug addiction and homelessness. Read more about the Tribal HUD-VASH program here. Visit VA’s website to learn about other initiatives and programs available for Veterans exiting homelessness. Mary Culley is the Tribal Government relations specialist for the Southern Plains and Southeastern Region. A 20-year Air Force Veteran herself, Mary was also single mother during her military career and has worked for VA for the past 12 years. VA . The VA does nothing, HUD passed the buck . Was the VA paid themselves 177 million in bonuses. Reported by the Washington Post ! Read that one ! What a great result!! I am a homeless Native American in the Oklahoma City area. I received information thru HUD-VASH stating I do not qualify for housing because I exceed the financial requirements. I receive 70% service connected disability funds per month. I think working with the veteran during a relapse period would provide hope for assistance. Thank you. wtf!!! no more special programs for special group0s. This is discriminatory. We all served and deserve to get served equally. All the special crap for females and minorities is against the law. It is not equal treatment. since the great uncivil rights act of 1964, males have been last on the list. Especially white males.